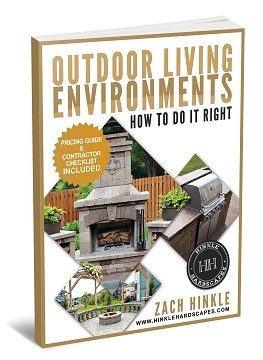 Hinkle Hardscapes > Blog > Host Thanksgiving on the Patio! 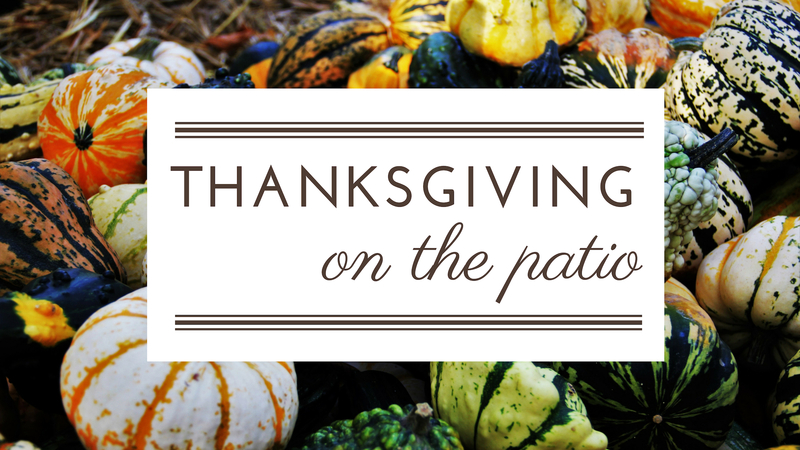 We’ve put together a few ideas to help you create the perfect outdoor Thanksgiving. You might be tempted to cook everything inside just as you would if the meal were being served indoors. However, not having enough space is the chief complaint when it comes to preparing a full Thanksgiving meal inside. 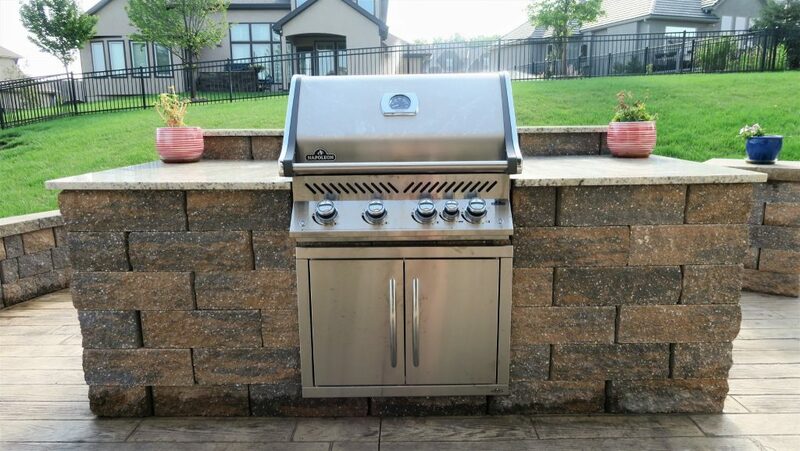 To alleviate the pressure of a small food preparation area, take advantage of the extra space in your outdoor kitchen. Moving tasks like peeling potatoes and cutting up vegetables outside will free up valuable counter space. 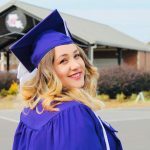 Want to know the best part? Clean up is a breeze! When you’re done cooking, simply hose off the counter top. Since you’re serving outside, why not add some of that outdoor flair to your meal by cooking a few things on the grill? Whip up some fun new dishes for Thanksgiving this year. If you haven’t before, try grilling your turkey! If you’re not quite up to that challenge, we recommend some grilled sweet potato kabobs, grilled asparagus, or grilled apple crisp – YUM. If you need a recipe, check out these Spiced Sweet Potato and Bacon Skewers. 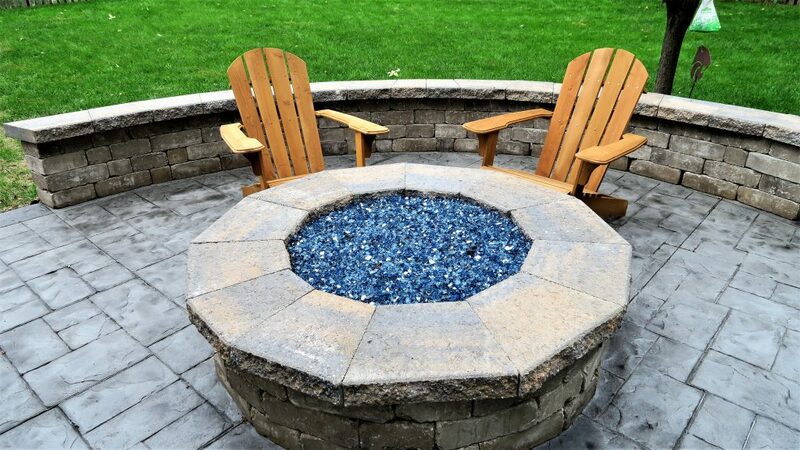 There are tons of options for this one – from a gas or wood-burning fire pit to a show-stopping fireplace. You can’t go wrong with any of them – and they will allow you to continue to enjoy your patio even during the colder months! You’d likely gather around an indoor fireplace for the final part of your meal, right? 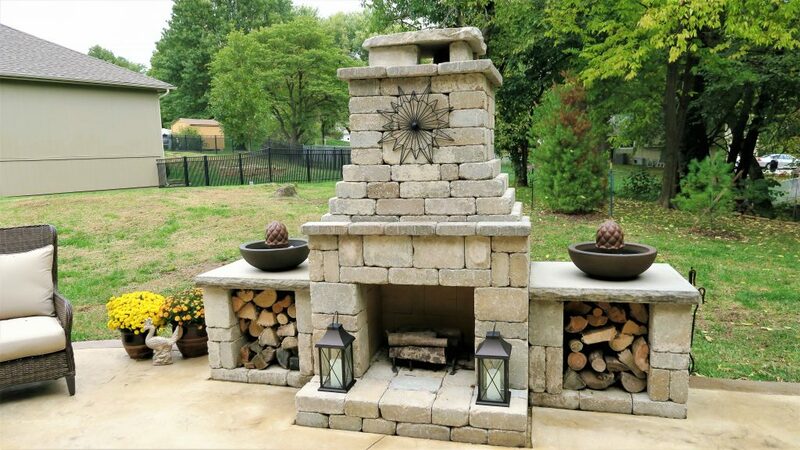 Well, why not use your outdoor fireplace or fire pit this year? The extra warmth will help keep guests cozy and provide a nice gathering place after the meal. After all, there’s nothing much better than being warm with a full belly! 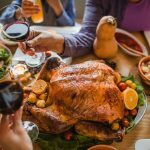 You can also provide your guests with blankets to help them get cozy as they enjoy their pumpkin pie and steaming mugs of cider! It’s a great way to create an intimate feeling among friends and family and bring the event to a close before everyone heads inside to fall asleep in front of the television! Those long summer days are behind us for now. Now that it’s fall, you won’t be able to use the sun’s light to illuminate your entire meal. 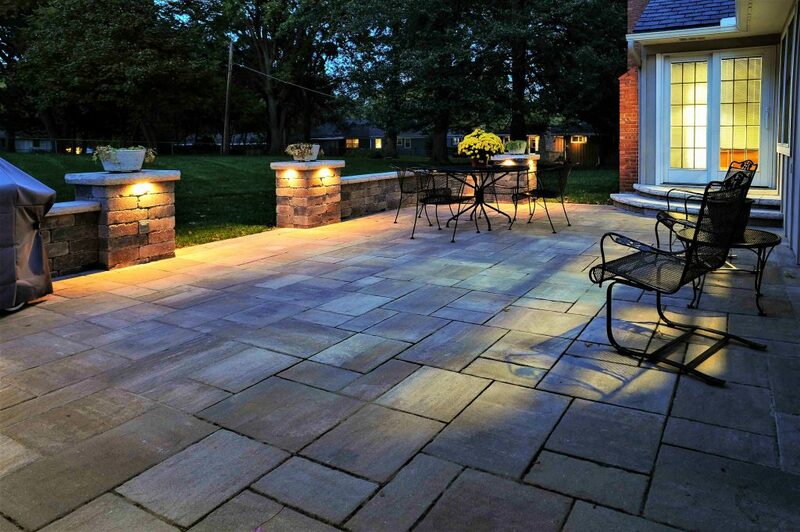 Outdoor lighting will provide a relaxing atmosphere, but more importantly – safety! Undercap and flood lights really come in handy this time of year. String lights are also an attractive and easy way to illuminate an area. Hanging them in trees, on a pergola, or under an umbrella will add instant atmosphere. No holiday is complete without festive decorations! 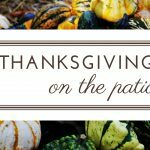 Part of the beauty of hosting Thanksgiving outdoors is you’ll be able to enjoy the natural colors of the surrounding foliage and use your decor to enhance those features. First things first: Decide what adornments you’re going to use on the table. 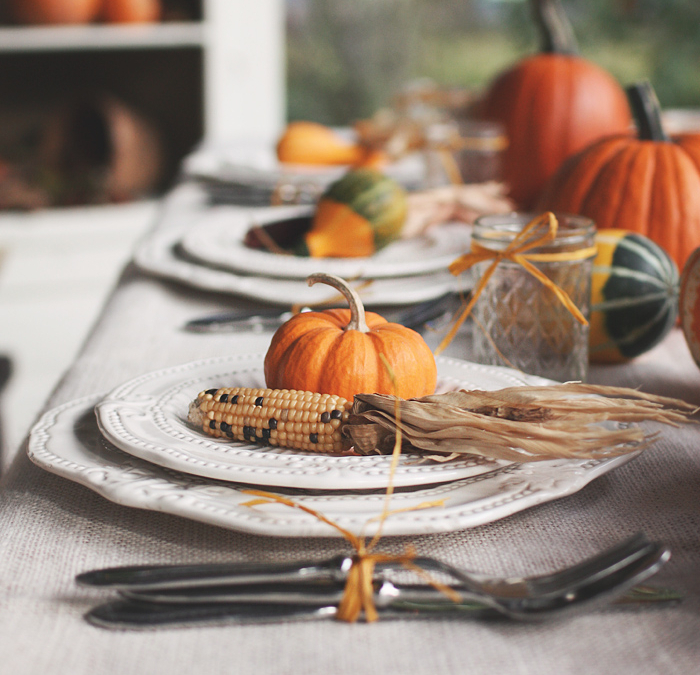 An autumn-themed tablecloth is always a good place to start, followed by a Thanksgiving dish set. A centerpiece that shows off your holiday spirit is another must for your dinner table, as well. Pillar candles surrounded by pumpkins or gourds can create a cheery atmosphere, but try a few different centerpiece designs. Instead of gourds and candles, maybe you’d prefer straw and fall-colored flowers. Maybe adorn each plate at the table with a small pumpkin and Indian corn. Play around with the look until you find something you like. Once the table has been beautified, add a few other decorations around the patio. For instance, vases provide the perfect place to insert festive foliage near the doorways and pathways, and outdoor pergolas can be used to hang small lanterns and weave holiday ribbon around the beams. Need Some Updates For Next Thanksgiving? 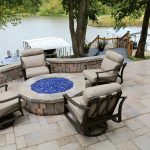 Whether you’re hosting for the fifth year in a row or this is your first time, you can be at ease knowing that your outdoor living space is prepared to entertain all of your family and friends. This is the best way to celebrate Thanksgiving – a holiday that, after all, began outdoors. 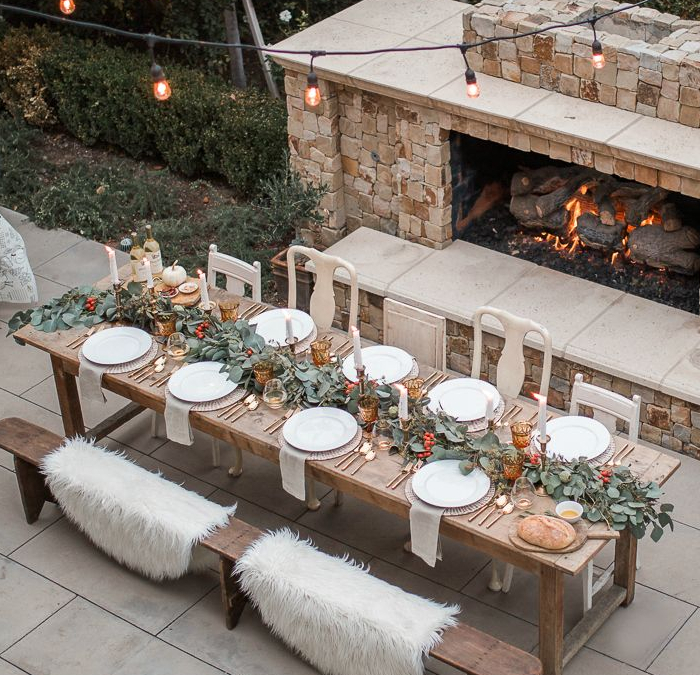 Use the hints we’ve suggested here to create an outdoor Thanksgiving that is as inviting as it is elegant.